Are you searching for an HVAC company that specializes in air ducts? The knowledgeable professionals at our company can help with your ductwork. We specialize in air duct installation, repair and replacement for residential and commercial customers. 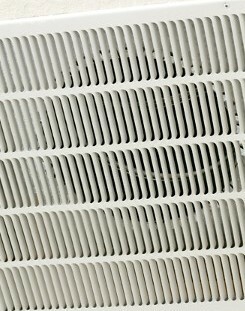 Ductwork is an essential part of your air conditioning system. A closed group of pipes pushes cool air from the unit to the various rooms in your home. New ductwork provides you with better insulation, decreased cooling costs, and evens out the cooling throughout the space. Whether you are adding square footage to your house or constructing a new building from the ground up, you can count on our team to take care of your air duct installation with professional results. Do You Need Air Duct Replacement? How Is Ductwork Installed by Professionals? When completed by an expert on our team, your ductwork will be efficient, insulated, and aligned to meet all of your cooling and heating needs. The basic installation process involves hooking up the ductwork to your HVAC system and then running it to every vent in the home. In most cases, the best way to reach the vents in your home is by running the pipes through your walls, ceiling, and attic. The work is best when completed by a professional because we are knowledgeable about the proper connection of each link of tubing so you don’t waste any money on cool air leaking out of your pipes. We also know how to properly mount ducts to the ceiling, take precautions with safety material, and identify a safe route for the system. At our air conditioning company, we feel that top-quality ductwork services should be affordable for everyone, which is why we strive to provide air duct work at lower prices than our competitors. Our team has over 75 years of experience installing and repairing air ducts. We have unmatched expertise that enables us to produce top-notch results for every customer. We are proud to offer some of the best warranties available for ductwork. Duct repairs come with a one-year warranty on labor and parts. We provide a five-year warranty on air duct replacement parts, air duct installation parts and a one-year warranty on labor. A properly functioning system of ductwork is meant to keep your home cooled or heated throughout without any major variations in temperature. The humidity in your space should be low, cooling costs should never dramatically vary, and your system should not freeze or overheat. If you notice any changes in these functions, contact us concerning the warranty that came with your air duct replacement. Contact us today to schedule an appointment for air duct installation at your home or office. We are proud to serve residential and commercial clients throughout Jacksonville, including Mandarin and Southside, and the surrounding areas of Jacksonville Beach, Neptune Beach, Atlantic Beach, Ponte Vedra, Orange Park, Fernandina, and St. Augustine.